The repair specialists at Pin Oak Service Center have been providing service, maintenance, and repairs on large equipment in Central PA since 1972. 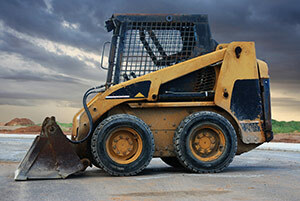 We understand how your machinery works and from working on our own B.R. Kreider equipment we know how important it is to get your equipment up-and-running as fast as possible. We offer weekend and evening hours, so no matter when you experience a breakdown, we’ll be ready to diagnose your issues quickly. Our large repair bays include equipment that is specialized for your large equipment, which means our techs have the tools they need to complete your repairs with the accuracy and speed that you need. Pin Oak’s Managed Maintenance Plans are designed to monitor all of your equipment to ensure everything is running at peak performance. Our goal is to reduce the likelihood of needing extensive, costly repairs. Call our Service Advisor to learn how a maintenance program can help protect your investments long term.